Our technology is the forerunner of the pulse desulfating repair technical innovation and development. As early as 1999, we have adopted the high-tech intelligent pulse resonance technology to develop a series of battery restorers of lead-acid Battery Pulse Desulfator, as well as Battery Protector and Battery Saver to repair the "scrapped batteries" and "fatigue batteries", carried out test in all industries within 10 years (from 1999 to 2009) and got comprehensive recognitions. 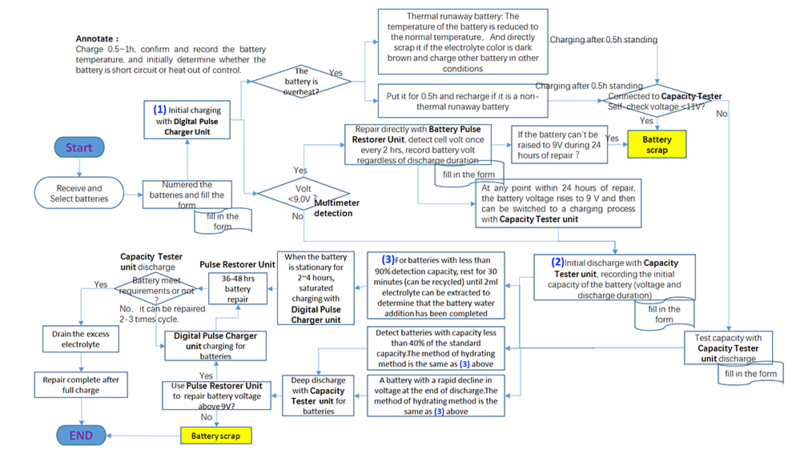 Therefore, the company's pulse repair patents are formed, and development and innovation of battery recovery business are carried out in domestic market and all industries, as well as in Military. The 12V Battery Repair Instrument with 4 cells restoration capacity simultaneously, this unit is equipped with 3 level of desulfating pulse current based on battery capacities. They are 3 pulse current range: 1A for 20Ah~30Ah cell, 2,5A for 36Ah~100Ah cell and 5A for 100Ah~300Ah cell batteries. With proper restoration current value, it can maximize the restoration efficiency and extend the service lifetime of the batteries. This unit is widely used for the UPS backup power of Banks, IDC, Telecom Base site and Power Battery etc. It can resolve the sulphation problems of battery capability decline and lifespan shortening. 6V cells could be restored by this restorer unit as well after they are series packed into 12V battery packs. With the rapid development of battery science and technology, the variety of lead-acid batteries is increasing, the performance is improving constantly and the application field is also expanding. In the field of energy-storage battery, the application of lead-carbon batteries is gradually expanding. Meanwhile, the battery repair technology and pulse maintenance technology of our company are also developing rapidly, which can still solve the repair and maintenance problem of lead-carbon batteries. 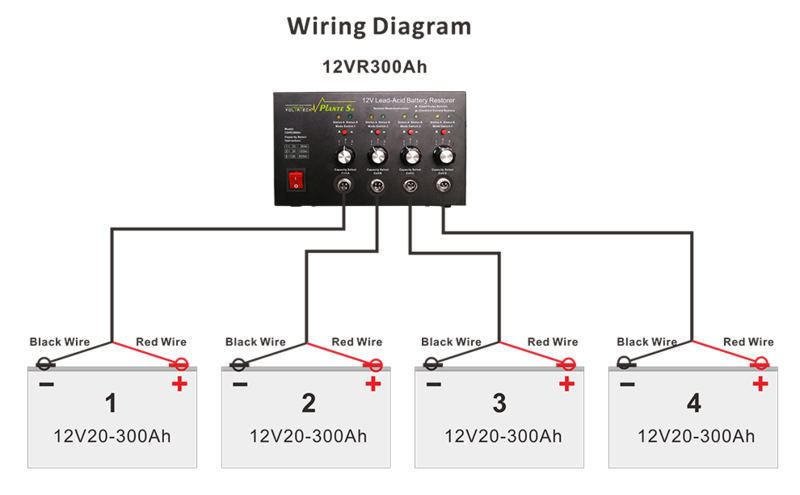 In this sense above, our 12V technical products are 12V Battery Life Saver or 12V Battery Pulse Repairer. 12V Battery Repair Instrument is the core function of 12V Battery Restore System during the process of battery recovery. Looking for ideal 12V Battery Desulfating Repair Manufacturer & supplier ? We have a wide selection at great prices to help you get creative. All the 12V Battery Life Saver are quality guaranteed. We are China Origin Factory of 12V Battery Pulse Repairer. If you have any question, please feel free to contact us.